1330V242 Multi-Speed Belts: 13/16" Top Width. Replaces Variable Speed 615VA2130. 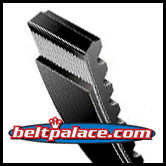 Home > Variable and Multi-Speed Belts > MULTI-SPEED BELTS > 1330V242 GATES Multi-Speed Belts: 13/16" Top Width. Replaces Variable Speed 615VA2130. 1330V242 GATES Multi-Speed Belts: 13/16" Top Width. Replaces Variable Speed 615VA2130. 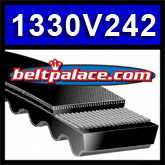 1330V242 GATES™ Multi-Speed Belts: 13/16" Top Width. Replaces Variable Speed 615VA2130. 24.7 inches O.C. - top width 13/16" - angle 30.